Phonics: In phonics, we have finished Jolly Phonics book 5, Alhumdulilah. This week, we did lots of review activities to practice sight words and long/short vowels. We played musical chairs with sight words, bingo with long vowel sounds, and also practiced writing sight words through word work and interactive writing. Sk2 are doing a wonderful job becoming great readers, Masha-Allah. Reading: This week, our theme was reading books on the five senses and on 2D shapes. We read non-fiction books about sense of taste, sense of smell, and also learned important facts about these two senses. We also started our "Reading Program" last Wednesday, Alhamdo-lillah. 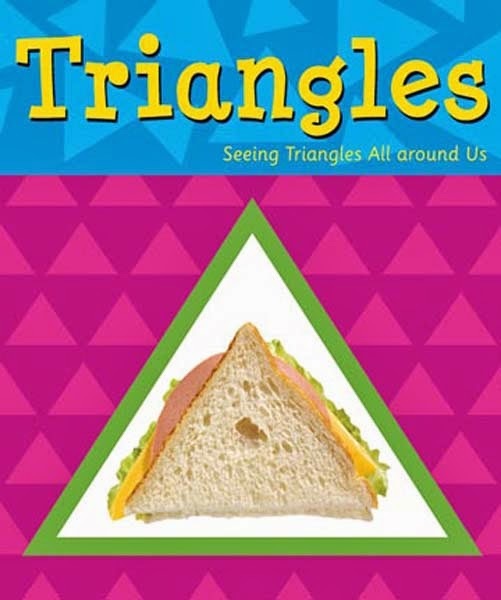 This week, we covered three more 2-D shapes(trapezoid, diamond and hexagon) and learned about their attributes. We also completed our 2-D shape book, Alhumdulilah. Next week, we will be learning about 3-D shapes, Insha-Allah. There will also be project in the coming weeks in which the students are required to build a 3-D mosque. Stay tuned for detailed information about the project in the upcoming weeks. Use Popsicle sticks, pipe cleaners, tooth picks, and a string of yarn to make and explore different shapes at home. Talk about what the shapes look like, how many sides and corners/vertices they have, and where we might see them in the real world. 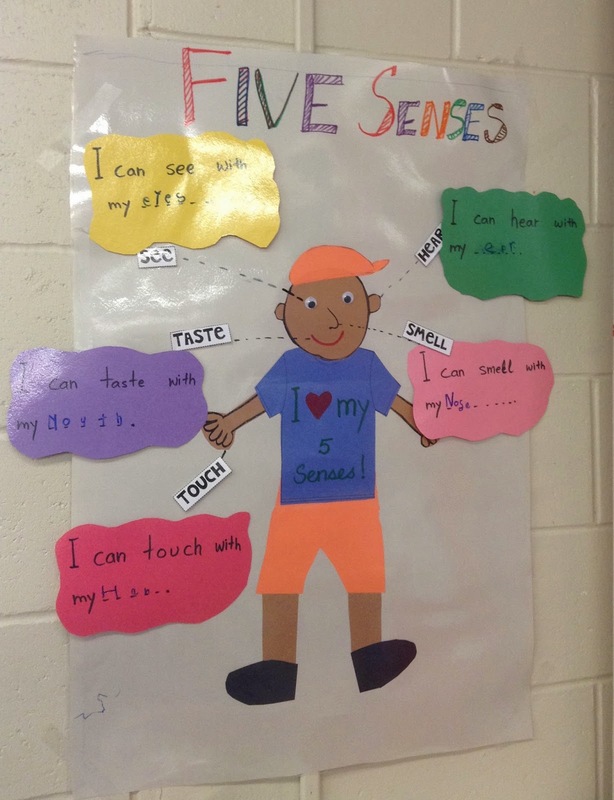 We reviewed the five senses by watching an educational video one more time. Then, we made one more step towards our labeling skills by labeling the five senses on a person’s picture. Then, we coloured and labeled the picture of the person. On Friday, Sk2 had a blast when we labeled the five senses on our special helper of the day by using sticky-notes. Also, they had a great time doing the blindfold tasting food activity. We learned how many rakah we pray every day and talked about the steps of prayer. 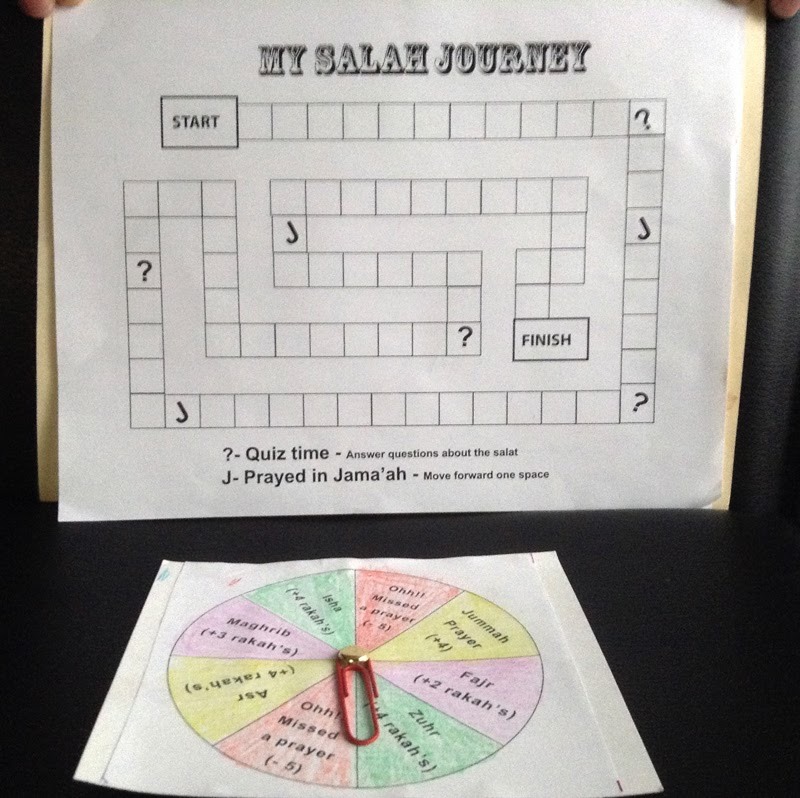 We made a board game called “My Salah Journey” to learn about the five daily prayers in a fun and interactive way. Please play the board game with your child or ask an older sibling to play with them. In gym, we have been practicing soccer and other cooperative games on a weekly basis. 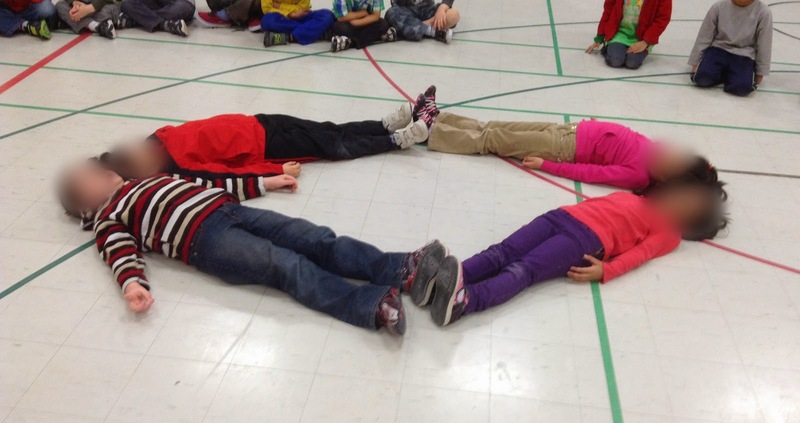 Students also made different shapes with their postures to practice 2-D shapes. As mentioned in the email earlier, we started the student of the month award, which will be awarded at the end of each month. This award will be based on learning skills or work habits in the classroom.